“Virtual reality will be big, augmented reality will be bigger and take longer” has become accepted wisdom. But now that we have 12 months of real-world performance since the VR/AR market launched last year, it’s time to do a reality check on VC and corporate investors. VCs told us last year how they were to going to invest in VR/AR. Let’s see if they put their money where their mouths were. 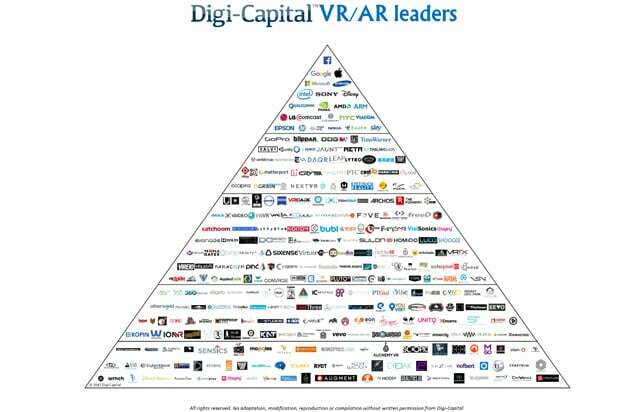 Digi-Capital’s new Augmented/Virtual Reality Report and deals database recorded VCs and corporate investors pouring $2.3 billion into VR/AR startups last year, or over three times the $700 million-plus invested in 2015. Three-hundred percent investment growth in 12 months is impressive in any sector, let alone such an early stage market. AR hardware player Magic Leap raised $793.5 million at a $4.5 billion valuation at the start of last year, and almost as much speculation about its tech at the end of it. 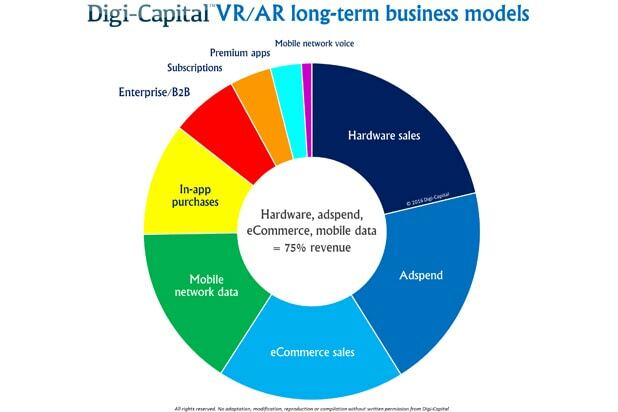 But even though it has taken in more money than any other single company in the space, last year it accounted for only around $3 of every $10 invested in VR/AR. 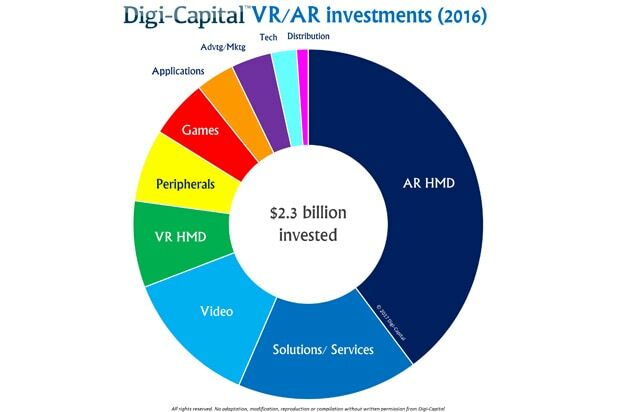 But add rounds from competing AR hardware players ODG ($58 million) and Meta ($50 million), and AR hardware took closer to $4 of every $10 invested. So the future looks augmented. The next largest sector was VR/AR services/solutions, which took just under $2 of every $10 invested. The largest investment here was in graphics engine Unity, with its $181 million monster round at a $1.5 billion valuation. Neural VR platform maker Mindmaze also became a VR unicorn when it raised $100 million at a $1 billion valuation. So VR/AR picks and shovels were a pretty attractive space for investors last year. Even though experts will tell you that 360 video isn’t volumetric VR video (and why they think you should care either way), that didn’t stop investors from giving VR video companies over $1 of every $10 invested. NextVR raised $80 million, 360fly $40 million, and Baobab Studios’ wonderful bunny gobbled up a $25 million carrot. And that’s not all, folks. VR hardware startups raised nearly $200 million despite the presence of Facebook, Samsung, Google and others, and both VR/AR peripherals and VR games sectors raised over $100 million each. Perhaps even more surprising was that VR/AR app developers (outside games) and VR/AR advertising/marketing startups each raised only around $80 million. They’re going to be huge drivers of long-term value, but it looks like investor thinking is still evolving as the market develops beyond its earliest stages. 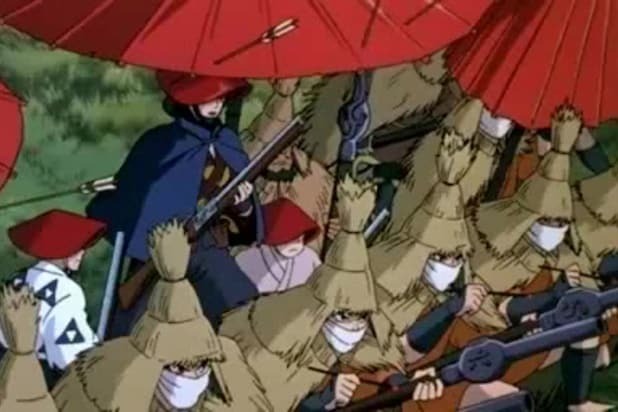 So who’s behind all the red envelopes? The big money came from the big boys: Alibaba, Warner Bros, Google, Qualcomm, Fidelity, J.P. Morgan, Morgan Stanley, T.Rowe Price, Wellington, CIC, Intel, Amazon, Fidelity, CITIC, NetEase, Softbank, 21st Century Fox, MGM, Lenovo, Tencent, Comcast, Samsung, HTC – it’s a greatest hits of the best investors in tech globally. And they weren’t alone, as Sand Hill Road VCs including Sequoia, DFJ, Lightspeed, KPCB and Greylock entered the market, joining dedicated VR/AR funds Colopl Next, The VR Fund, Super Ventures, Signia Ventures, Maven Ventures, Presence Capital, GREE VR Capital, Boost VC, Anorak Ventures, Outpost Capital, B Capital and others. Not to mention all the angel investment in the space. That difficult second album can be a bear, so it’s going to be interesting to see how VC and corporate investors respond this year in the light of 2016’s mixed year for performance and VR/AR’s new trajectory driven by mobile AR. But no matter what happens in the short term, the long term looks bright for VR/AR investors and the startups they’re fueling.